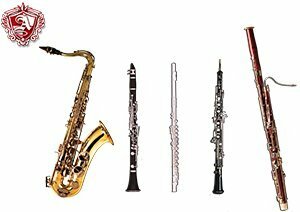 The woodwind family depends on the vibration of air in a tube, like the brass instruments. While flutes are simply played by blowing into the mouthpiece, other woodwind instruments achieve their sound with a reed. With a high pitched and piercing sound, the flutes are now a permanent member of the orchestra. They entered the orchestra in the 18th century. The combination of flutes and violins make a sweet and delicate melody. The oboe is an interesting instrument. Oboe players don’t directly touch the mouthpiece of their oboes; instead, they depend on their double reed. While the flute and oboe have a relatively high pitch, the bassoon plays more of a bass tone. Saxophones are also members of the woodwind family, but have become jazz type instruments used in big band music. The brass section of an orchestra is known for the brilliant blazing sounds the instruments are able to produce. Before joining the orchestra, most brass instruments were used for military and ceremonial purposes. However, in 1815, the history of brass instruments found a different path: valves were invented. 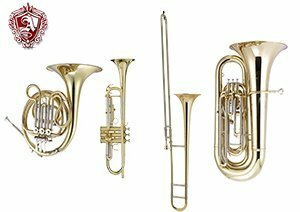 The brass instruments were slightly adjusted to produce melodious notes by diverting the airflow in the “tubes.” Some examples of brass instruments are the trumpet, trombone, French Horn, and Tuba. Percussion instruments include some of the oldest instruments in the world. Most of these instruments are made of wood or metal. Drums can also have animal skin fitted on their frames. 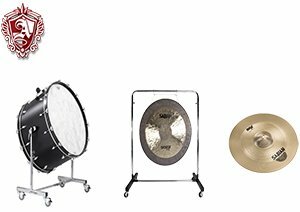 Usually, percussion instruments are used for the keeping the rhythm and the beat of the orchestra. However, others like the cymbal and the gong, are used mainly at dramatic or climactic moments of a piece. These instruments were used for calling men into action and other military purposes until the 17th century; until composers, like Beethoven, started using them in their music. There are many strings instruments in the orchestra. In fact, they typically take up around ⅔ of the orchestra! 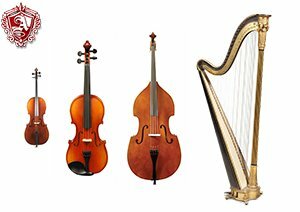 Some examples of string instruments are the violin, cello, and harp. Violins existed since the 16th century, but weren’t used in the orchestra until the 17th century. The unique traits of the violin are its richness and agility. Most orchestras have the musical textures defined by the violin and they usually have the melody. As for cellos, they are also important because it acts as the background or contrast to the melody. In some specific performances, they could also have the melody and solo! The purpose of the harp is to add color and delicacy to the orchestra. 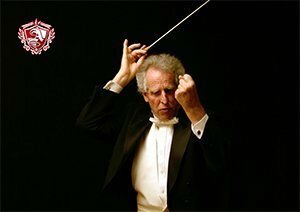 Conductors have a crucial role in the orchestra. He or she controls the score and time, keeps the beat, and decides how long to play some notes. An interesting fact about the conductor is that there were no conductors in the time of the renaissance. They were only recently added because there were bigger ensembles and bigger orchestras. Synchronizing all that with a person to lead it was too hard.